California State University--East Bay is a public institution that was founded in 1957. It has a total undergraduate enrollment of 13,008, its setting is city, and the campus size is 342 acres. It utilizes a quarter-based academic calendar. California State University--East Bay's ranking in the 2017 edition of Best Colleges is Regional Universities West, Tier 2. Its in-state tuition and fees are $6,564 (2016-17); out-of-state tuition and fees are $17,724 (2016-17). There are three California State University—East Bay campuses in the San Francisco Bay area, which are located in Hayward Hills, Concord, and Oakland. Students at Cal State East Bay, as it is known, can earn degrees in more than 50 areas of undergraduate study and nearly 40 fields of graduate study, including business, speech-language pathology, and public affairs. Outside the classroom, students at Cal State East Bay can participate in more than 100 organizations and more than 20 fraternities and sororities. Originally established in 1905, Northwest Missouri State University is a state-assisted, four-year regional university that also offers graduate degree programs. Northwest offers 127 undergraduate programs and 40 graduate's programs. The business, education, geography and agriculture departments graduate the largest number of students each year. Career Services offers an "Exploring Majors" fair where students can learn about different majors on campus and find which major is the perfect fit for them. At Cleveland State University, a revitalized sense of place meets a rewarding sense of purpose — with extraordinary results. 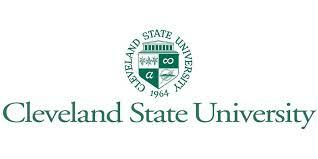 Established as a state-assisted university in 1964, Cleveland State University assumed a tradition of excellence when it adopted the buildings, faculty, staff, and curriculum of the former Fenn College, a private institution of 2,500 students that was founded in 1929.
www.kent.edu Kent State University is a public institution that was founded in 1910. It has a total undergraduate enrollment of 23,607, its setting is suburban, and the campus size is 950 acres. It utilizes a semester-based academic calendar. Kent State University's ranking in the 2017 edition of Best Colleges is National Universities, 188. Its in-state tuition and fees are $10,012 (2016-17); out-of-state tuition and fees are $18,376 (2016-17). Kent State University is located in northeastern Ohio, about 40 miles south of Cleveland, with seven regional campuses situated across the state. Students at Kent State can choose from more than 300 academic programs, including graduate degrees from the College of Business Administration, the College of Education, Health and Human Services and the highly ranked School of Speech Pathology and Audiology. Undergraduates at Kent State have a unique opportunity to earn a degree in peace and conflict studies, which is offered through the Center for Applied Conflict Management. This center was created shortly after the headline-making 1970 incident in which Ohio National Guardsmen killed four Kent State students during a Vietnam War protest.